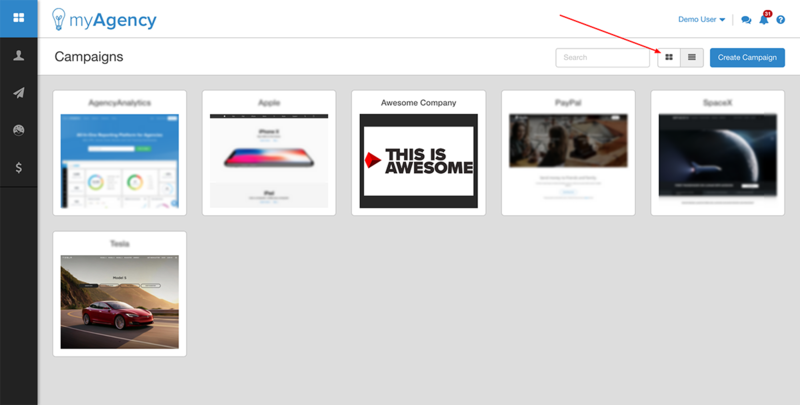 Start in your root campaign dashboard, and make sure that you're in "Thumbnail view" rather than in "List view". Hover over the campaign that you wish to delete. 2 small icons will appear. 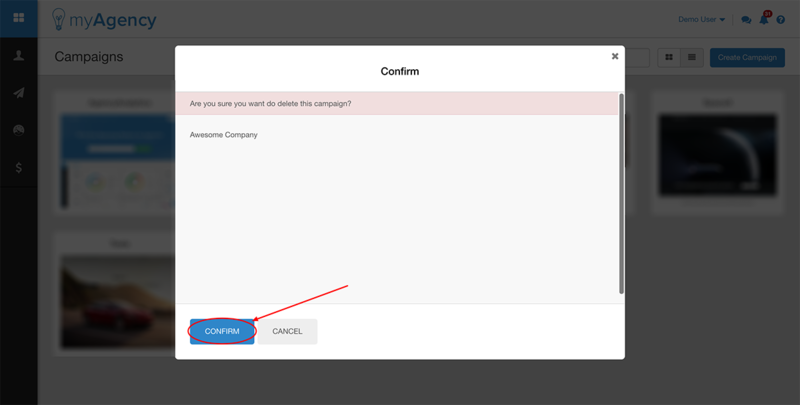 Click the "X" icon to delete the campaign.